Do you want my vote? 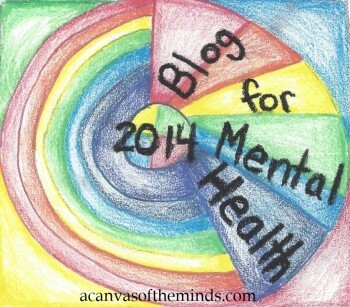 Please talk about SOLUTIONS to the Mental Health Crisis! I think it is important for a president to listen to what the people say. It is very frustrating that I can’t find a voice. I have written numerous letters, emails, made phone calls and tried to communicate with the media and politicians for years. I did hear back from a few governors one year when I was working on a project. I also received a personal letter from Clinton who was no longer in office. I have also had the support of my own governor. However, my voice just does not get heard like it should. I suspect why and know for a fact that it is not just my voice that is unheard, but many people like me. I have a mental illness. I am an American who graduated from college and worked as a teacher and manager even though I struggle with a severe mental illness. I have never committed a crime. I am a human being and deserve the time of a candidate/president and the media as much as someone who is unemployed, worried about health care, concerned about national security and is disappointed in Washington. I love my country and want it to be better. However, I don’t see that happening unless mental illness is talked about and there are actual steps that are taken to help with the failed mental health system. The candidates need to stop dodging questions about mental health and the media needs to start asking about mental health. We want solutions. By we, I don’t just need mean the mentally ill or their families or the professionals who work at psychiatric hospitals and prison guards who are seeing revolving doors. EVERY American is affected by mental illness in some way. National tragedies are just one way, but did you know that 1 in 4 people in the United States have a mental illness? I am an independent voter and live in NC so I am not sure if my vote will even matter. What I do know is that a candidate must convince me that they are willing to listen to the mentally ill and demand other candidates to do so also. I. We, the mentally ill, want someone who is going to solve mental health crisis not just talk about it being a problem. I think it is important that a president/candidate hear the voices of the people. If you don’t respond to people (the mentally ill) we feel like our voices don’t matter. We might have a mental illness, but we have just as much right to vote as someone who does not. Do you want our vote? This entry was posted in media, mental health advoctes, mental illness, politics, presidential election, Uncategorized and tagged clinton, contact kasich, cruz, cruz and mental illness, debate, democrat, donald trump and mental illness, election, election2016, florida primary, kasich, kasich and mental illness, media, mental health, mental health issues and the candidates, mental health matters, mental health system, mental illness, north carolina, north carolina primary, ohio primary, presidential election, primaries, republican, rubio, sanders, tim murphy bill, trump. Bookmark the permalink.